A world debut for the health and welfare of your dog! Carry one in your handbag or backpack. Let it accompany you on our daily walks, on hikes, on your travels and during dog sport. Small, handy and ultralight. 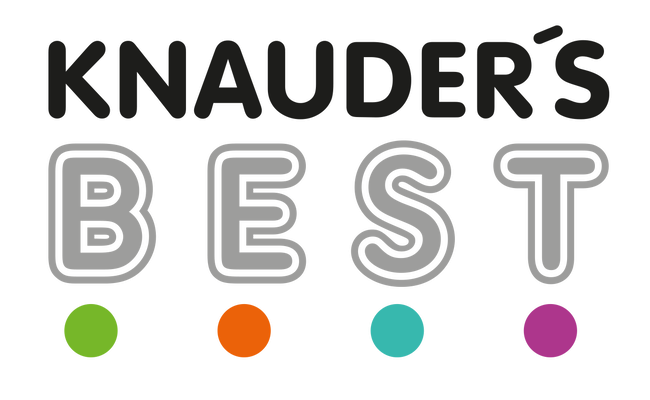 The life-saving innovation from KNAUDER´S BEST. The rescue blanket for emergencies. The carrying aid for the quick rescue of your injured dog. With its carrying capacity of up to 45kg and the sturdy, tear-resistant carrying handles, it is also suitable for transporting large injured dogs from the accident site. But the use of the rescue blanket is not restricted to emergencies. It can also be used as a walking aid to support dogs with limited mobility. 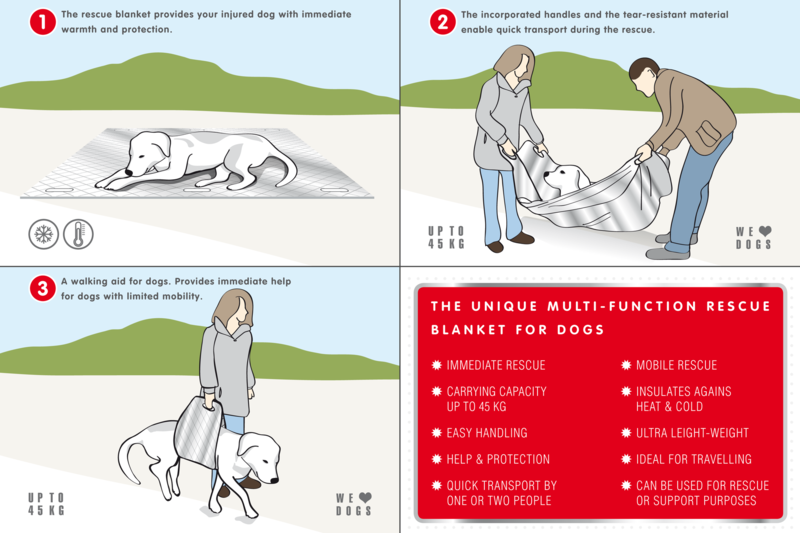 The rescue blanket for dogs from KNAUDER´S BEST – ensures your safety and enables you to rescue your injured dog.